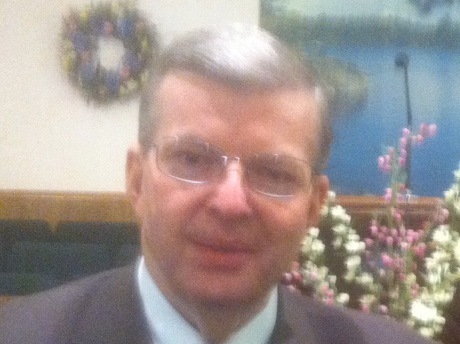 One of the men of God that I preach with at least 4 times a year is Evangelist Monte Watts. He started the FOUNDATION CONFERENCES and these conferences have helped literally thousands of Christians to be used of God through the challenge of his life and his messages. As you know from his testimony in print and in person he had polio as a young man. With his tenacious love of God he has traveled this nation while in pain to help local churches while never complaining. He has outlived 5 doctors and miraculously never missed a church service in 29 years in spite of his health challenges. Two weeks ago he had difficulty walking up some steps at a church where he was preaching. He at first thought it was his disease causing the shortness of breath. When he came home he went to his doctor and discovered he had congestive heart failure. He and his wife are meeting with some doctors on Monday afternoon to determine what to do next. They are having to call in specialists because of the disease he has. He needs prayer but he needs more than that! I am wondering if maybe we could not get 20-25 churches to schedule one of the 20-25 weeks to take up an “Other’s Offering” to help this dear couple. They will be without income for at least 20 maybe up to 25 weeks. All I want to do is to coordinate it. Email me at bgraysr@me.com and choose one of these weeks. You will send your offerings to Evangelist Monte Watts. He has helped us and now it is time for us to help him! Thank you for considering this Brother in a time of need! GOTTA LOVE SERVANTS OF GOD!